Mehmet Levent Akman exclusively uses handmade Istanbul Agop Cymbals. Osman Murat Ertel uses saz'es designed by himself and built by Barış Müzik. 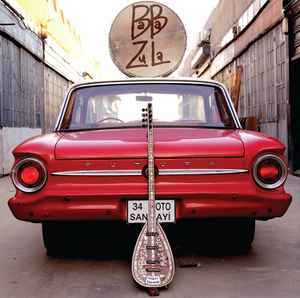 Periklis Tsoukalas uses electric oud designed by himself and built by Yildirim Palabiyik. Manufactured and distributed by Rainbow45 Records under Lila Records Licence. Packaging: Gatefold sleeve, contains 50x70 two sided poster, insert including the lyrics & postcard signed by the band members. could easily be eurovision ''music'' and in no way psychedelic rock!!!! !